A 4"x6" set of clear stamps, made of the highest quality, non - yellowing polymer. The Circus stamp set includes 15 images. 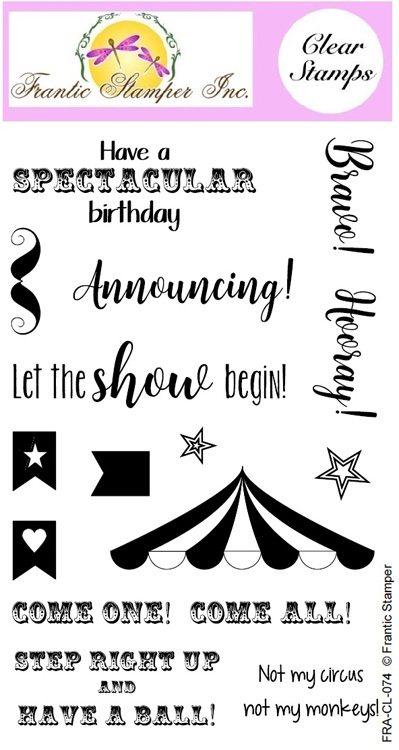 Big Top tent roof: 2.375" x 0.95"
Have a spectacular birthday: 2.125" x 0.75"
Let the show begin: 2.45" x 0.625"
Not my circus, not my monkeys: 1.25" x 0.5"